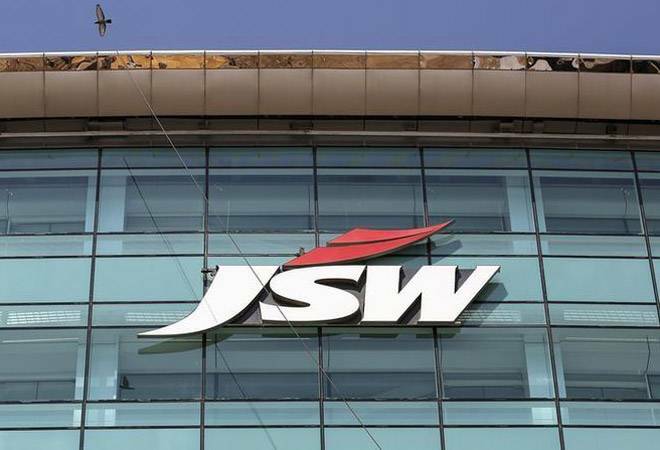 MV Seshagiri Rao, joint managing director, JSW Steel, yesterday said that the company was seeking legal opinion on whether it would be eligible to bid for Essar Steel together with contenders that had already thrown their hats in the ring: ArcelorMittal, Numetal and Vedanta. The prolonged battle for Essar Steel has now taken a new turn. JSW Steel, which had bought out Rewant Ruia's contentious 25% stake in Russia's VTB Capital-backed Numetal ahead of the second round of bidding, reportedly wants to make an independent bid for the beleaguered steel company, one of the first 12 companies identified by the RBI for insolvency proceedings last June. According to The Financial Express, MV Seshagiri Rao, joint managing director, JSW Steel, yesterday said that the company was seeking legal opinion on whether it would be eligible to bid for Essar Steel together with contenders that had already thrown their hats in the ring: ArcelorMittal, Numetal and Vedanta. "It depends upon the legal opinion which we get and the views of the committee of creditors (CoC) and the resolution professional. If they take a positive view, then we are open to look at it. We are seeking a legal opinion and based on that opinion we will take a call," Rao told the daily. Given the Supreme Court last week set out the course of action for Essar's lenders as well as the interested bidders, it seems likely that that the Sajjan Jindal-led company will have to again knock on the apex court's doors to get permission to bid separately. On October 4, the Supreme Court had exercised its extraordinary power under Article 142 of the Constitution to allow ArcelorMittal and Numetal to submit fresh bids for Essar Steel provided they clear their NPA dues in two weeks. So basically, steel tycoon Lakshmi Mittal-led ArcelorMittal has to clear the Rs 7,000 crore outstanding debt of the two companies it previously held stakes in, namely Uttam Galva and KSS Petron, in order to be considered eligible to bid. And Numetal would reportedly be eligible to bid after it pays off its dues of Rs 49,000 crore. Moreover, the Supreme Court granted the CoC a final eight-week window to finalise a bid, failing which the steel company will go into liquidation. The court also diluted the role of the National Company Law Tribunal (NCLT) and National Company Law Appellate Tribunal (NCLAT), adding that they would step in only after resolution plans were approved by a majority (66%) of the CoC in the prescribed deadline. Despite the fact that Essar Steel boasts the third biggest debt pile (around Rs 49,000 crore) among the Dirty Dozen, it is a big prize to land and has hence seen very aggressive bidding. According to the daily, ArcelorMittal is understood to have offered Rs 42,000 crore for it, while Numetal's bid is believed to be in the region of Rs 37,000 crore. The bid by Anil-Agarwal promoted Vedanta trails at around Rs 35,000 crore. It's anybody's guess how fat a cheque JSW Steel would be willing to sign, if allowed to enter the race. The development comes as JSW Steel is fighting to retain its position as India's leading steel maker. Tata Steel has emerged a strong contender for the title having recently got the NCLT's nod to acquire Bhushan Steel, now renamed Tata Steel BSL. Moreover, if it also gets control of Bhushan Power and Steel, it would be able to add nearly three million tonne of capacity. Hence, acquiring Essar Steel - which boasts a 10 million tonne steel plant in Gujarat, India's largest single-location flat steel plant - independently fits neatly into JSW Steel's ambitions. It has reportedly targeted owning 25 million tonne of steel-making capacity in India in the near term.